With the security industry on a never-ending evolution to circumvent the efforts of modern day criminals, people have started to ditch the conventional and are embracing the new. No longer does a simple padlock suffice to keep intruders at bay. Today, with the advent of technology, there are innumerable high-end options one can avail and the same are being installed in both residential and commercial properties all around Orlando, FL area. But there are some things that can never be forgone, despite how advanced and sophisticated the modern lock systems get – and that is the amazing versatility of an emergency master key lock. Is your master key lost? Did the emergency master key lock stop working? Such pressing security concerns demand swift assistance from an able locksmith – and that’s something you’re unlikely to get from an amateur. Call Orlando Galaxy Locksmith ! We operate a 24/7 emergency response unit. No matter when you ring us up and request assistance, we’ll get there within 15-20 minutes. 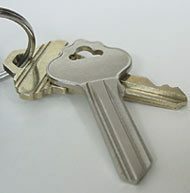 With extensive knowledge of master key systems, we can suggest and implement appropriate solutions on-the-spot. We can rekey the entire system, make new master keys, fix locks and more. For comprehensive lock & key solutions in Orlando, FL area, dial 407-549-5040 !